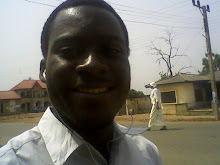 The story of the Nigerian compulsory one-year graduate service is one that means different things to different people. The National Youth Service Corps (NYSC) – the name of the service body – brings memories to everyone who has undergone the service. Now, I wouldn’t bore you with the long history of its formation but let us just say that it was created by the General Yakubu Gowon administration as a way of rebuilding the nation by sending tertiary institute graduates (under thirty years old) to different parts of the nation to practice their studied course. Now, these graduates are first posted to states where they undergo some military and civil orientation in an ‘Orientation Camp’ for two to three weeks. At this time you would find lots of people from different ethnic backgrounds mixing together, many for the first time. In those few weeks, a lot happens – friendships are made, love groomed ... The air there is like only what you would see on some of these survival shows like Big Brother, Survivor and the like. That time like the whole time in service varies for different people. The experience is different from camp to camp where some people enjoy themselves greatly while for others it turns out the opposite. So, to say, it is the fun time of camp for most people and the most horrible for others – depending on the way the camp officials (made up of civilian NYSC staff and military personnel) make it. The bullet whizzed past. It was so close she felt the heat. The target car was a distance away. They flew their best towards it, and shot back blindly trying their best to divert the attention of their assailants. It was not working. The darkness swallowed the shapes that approached them and the only clues they got were the fires at the mouth of the guns – their shots. There was no time to steady and aim. Suddenly the lights began to appear from a different direction. “Hassan!” she shouted as her closest comrade fell to the ground. She bent to him and felt the heat again. She was in the air again firing back blindly. She cast a quick glance at the three men beside her. The fire from their muzzles showed their faces, grimly set. For a second she forgot the moment, the danger, and smiled. She was proud to be in their midst. Friends forever. She heard shouts of pain from the two different directions of the assailants and knew they had done some damage. “Yes!” The opposing shots seemed to stop for a moment and they used the precious seconds to increase the distance and reach their vehicle. She quickly opened a door and jumped in. She started the car just as two of the others reached. She noted that Kunle had the bag with him as he took the front passenger seat beside her. Ibun dived in through the rear door, some bullets accompanying. His instant lifeless body fell on Ida as the bullets tore through his entire frame. “No!” Ida took a sharp look, felt deep sorrow, intense anger, and in that second jumped out shooting in the direction of the opposing fire. But he was far past hearing in his raging charge towards the assailants. She pushed the door open as Kunle’s leg jammed the accelerator from his side. The dust flew as the car sped forth at full throttle. She fell back to the seat. She struggled up, turned to look behind them and saw Ida’s body hit the ground. Tears filled her eyes as she turned to Kunle. “We would have been killed too. Keep your mind on the road.” he said in a very tired voice. She was mute with shock. The car sped on passing a tee junction. She felt numb all over. She could not believe that the people she had grown to love and cherish as friends for a long time could just fade away in the space of a few minutes. Lights appeared from behind. He got into the back seat and reloaded his gun, head down. “Yes! !” The shout was for the victory of conquering the assailants. It was short-lived as he noticed another car coming in the distance. She came back to as two shots found Kunle. She hit the brakes as he hit the back of her seat. So, what does one say about them – women that is. They are indeed the essence of everything that the world is. It has been said that there is nothing new under the sun; everything has been done in one way or the other. In essence, there is no inventing the wheel no more; it is just modifications. This is true of women. To talk about the values of women would be to just babble and repeat clichés that have been used from time immemorial. Do we talk about their physical qualities? Lovely hazel eyes; face that shines like the moon; lovely physique; figure eight... Is it their persons? There are descriptions to almost all the ladies we can come across, descriptions that we might want to personalise but have been used over and again. These descriptions come in personages of others who have lived long and granted names to the whole group; there is the great sweet mother of eternity that each one of us professes; Jezebel; Delilah; Mary; ... what description? It was at the Guest Writers’ session at the Writers’ League of Benue State University, Makurdi. Time was 4:30pm, introductions had been done and Chuma Nwokolo was already reciting away poems from his Memories of Stone. Being a student writer association, he took advantage of the blackboard as he recited and explained ‘I am,’ a poem that starts with one’s ambition that ends with a discovery that after all is said and done, one might not be anything at all. Thunderous applause greeted the end as he took another which excited his audience. In reciting, Chuma made sure he read each stanza twice, for emphasis and gave a little explanation: ‘The reason why I read my poems twice is for understanding. When you’re reading it on paper, you can understand but when I am reciting, it becomes difficult.’ He continued his recitation, using a deep resounding voice and a commanding presence, he grabbed the attention of everyone present, silence all through as he recited and demonstrated his poems – no one wanted to lose or interfere with any bit of the flow. He read a poem inspired by his Sudan trip ‘No, not ‘Sudan, Sudan,’ you people know that one too much.’ General knowing laughter at this. One more and he was through with that. He sat to a mightier ovation than the thunder claps at his individual poetic performances. It was the time for Geoff Ryman, sci-fi award winning writer to take the floor. Geoff started with a simple question: ‘How many of you have heard of Polpot?’ No hands at all. He gave a little history of Polpot whom he said killed one million people within three years and nine months, of a population of five million in Cambodia. What?!! Wow!! Went the sounds of surprise in the room. The man was against literacy and the literacy rate in the country is poor, because of that man. ‘We are looking at one of the great tragedies of human history,’ Geoff continued. He proceeded to reading parts of ‘Polpot’s daughter’ (a fictional tale) from his system. His style of presentation had voice variation to match the different characters in the story, and use of sounds like hitting the table and making other such noises. The last part was to spice up the imagination of his hearers. It all worked well as the audience listened attentively, laughing at the deep humour in the work and the variation that the strange white author introduced. Then, there was the odd moment when Geoff had to skip a bit to get to another point of interest to read to the audience. It was a real awkward moment and Chuma tried breaking the silence that ensured with a word or two. Some members of the audience got real bored here and someone was heard to say ‘Oh, this is most boring!’ Then, the readings continued with a funny extract that left the previous complainer laughing loud along with everyone else. The presentation was back on track with a touching conclusion, and Geoff was through. There was another round of ovation that was not so much especially since the reading of the story had pulled most of them to their end being somewhat long. Kuraun Silas called for a few more readings. Two poems were read but by this time, there was impatience in the air as most members of the audience were too tired to listen. All the remaining readers would take their turn at the next reading. It was photo session next and some bonding and talking with the guest authors, Chuma and Geoff. In all, it was a really good and interesting evening for everyone. As all: the guest writers, board members, invited guests and members of the League with an appreciable attendance of over fifty, smiled their way home, it was obvious none of them was going to forget the experience in a while. Chuma Nwokolo and Geoff Ryman are on a two week Creative course at the Benue State University, Makurdi (ended Friday 12th August, 2011). The Writers’ League is a student creative writing and reading society in the university. For this one was a carefully concealed mine!